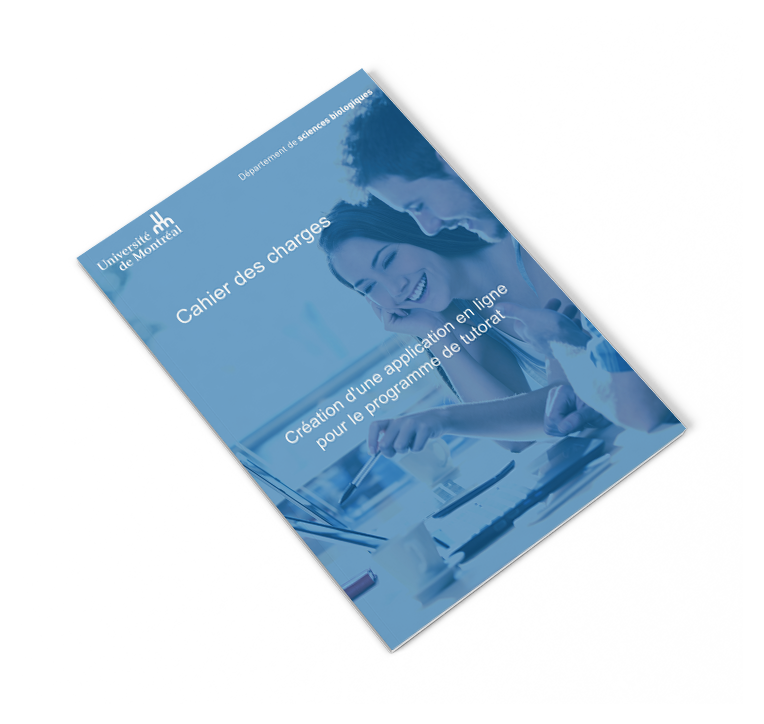 In order to facilitate the management of its tutoring program, the Université de Montréal asked Wink Stratégies to design from A to Z a responsive application capable of offering a semi-automated management of all tasks related to tutoring, from recruiting tutors to planning meetings. After having synthesized the needs of the UdeM and taken into account its specific technical constraints, Wink Stratégies produced a complete set of specifications, precisely defining the objectives and detailing the needs of the target audiences of the platform through quantitative studies and elaboration of personas. This study made it possible to precisely establish a list of the essential functionalities as well as to better organize the information on the platform, but also to define the organization of the elements and the design. Wink Strategies then ensured the complete development of the application. In addition to being ultra-functional, it also had to be very practical, saving valuable time on administrative tasks (room booking, payroll, etc.). – A platform integrated with the existing technical environment. Once the development was completed, Wink Stratégies then ensured the smooth implementation of the online application. Post-deployment benefits were evaluated to measure the effectiveness of the new platform. Recommendations for moving to a second version were then formulated for wider use of the application, across the university. You too, can stand out!